I must say, there’s a certain element of ‘buzz’ when fellow bloggers recognise your writing, ramblings and eclectic thoughts and then rewards you for it. A huge thank you goes out to Author S B Mazing for nominating me for The Creative Blogger Award. Another huge thank you goes out to Gill over at Talkingthailand for also nominating me for The Creative Blogger Award. 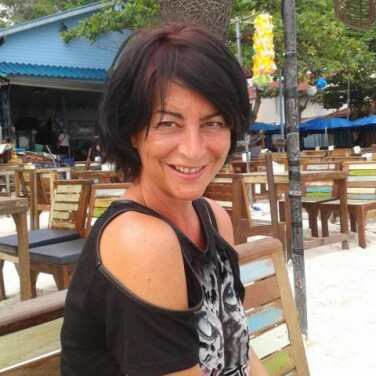 As I’m sure you’ve guessed, Gill lives in Thailand and her interests include photography and she loves sharing her experiences as she turns the pages of her life. Thank you for this nomination, Gill. Pass these rules along to the blogs you nominate. I love trees. Not just any trees, but big, ancient trees. Ones that hold captive stories of years gone by and the lives they’ve witnessed over the years it has taken them to grow strong and tall. I love watching the stars in the heavens and trying to comprehend not only ‘what’ is out there, but that we are the exception in this amazing universe, that extinction, not survival, is the rule. I believe that under ever mushroom hides another world of wonder waiting to be discovered if only I were small enough to enjoy it myself. I don’t see myself as a creative person and I’d love to be able to come up with original ideas. What I can and do, is take inspiration from others and morph their idea into something (almost uniquely) mine. After years of watching Disney movies with my girls, I know all the songs and (almost) all the dialogue to The Little Mermaid and Beauty and the Beast, not to mention The Lion King, Sleeping Beauty, Aladdin, Frozen, and Brave. Are you a creative person? Do you have a creative blog? Would you like to receive The Creative Blogger Award?